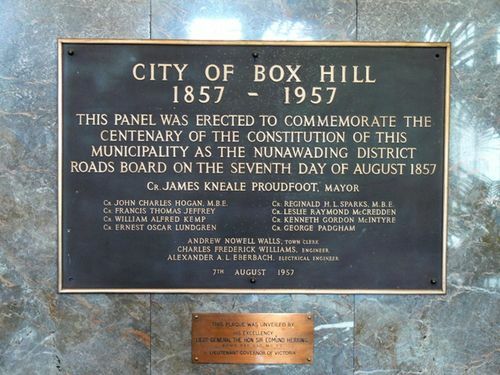 A panel commemorates the centenary of the constitution of the municipality as the Nunawading District Roads Board in 1857. Roads Board On The Seventh Day Of August 1857. Cr. John Charles Hogan, M.B.E. Cr. Reginald H. L. Sparks, M.B.E.